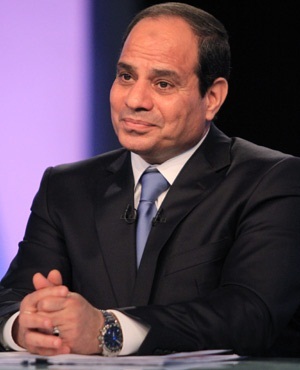 Cairo - Egypt's president says he expects the country's inflation rate to fall by more than half in 2018, forecasting an improving economy after years of political unrest. President Abdel Fattah al-Sisi told a financial conference on Thursday that the economic reform program he launched is starting to "bear fruit." He says: "We have set a goal for ourselves to reduce the inflation rate to around 13% in 2018." Annual inflation stood at 31.9% in August. Al-Sisi also said the country's Gross Domestic Product grew 4.9% in the last quarter of 2016-2017, which ended in June. That compared to 4.1% for the same period the year before. The state budget deficit reached 9.5%, down from 11.5 percent during the same period.